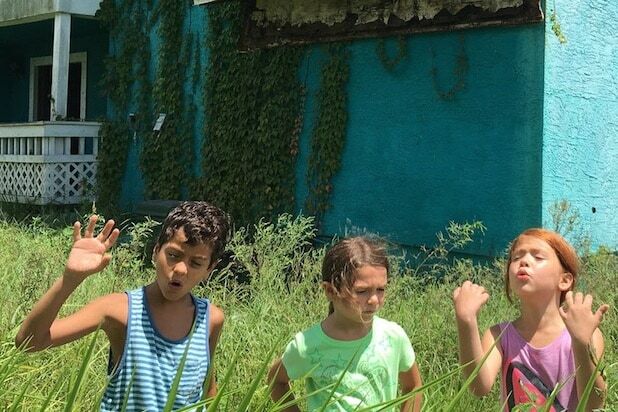 The Florida Project is a hard film to sell to a multiplex audience. It doesn’t follow the usual trappings as far as the story is concerned and the subject matter doesn’t really excite as it all sounds far too bleak. Yet Sean Baker’s film is vibrant with colour and life and while this is a dark and often uneasy view, it is surprisingly uplifting and you become captivated by these characters. Just outside the boundaries of Disney World in Orlando is an area where life isn’t as rich. In a bright purple motel called the Magic Castle, resides those who are struggling to survive day by day, even to pay the rent money for their one room. One such resident is Halley, a single mother without a job and without any hope, who shares her room with her 6-year-old daughter, Moonee, a tough, foul-mouthed girl, who uses the motel and the surrounding area as her own personal Disney World. Yet without a future for her mother, the chances are that her perfect dream life will soon disappear. Baker’s film is a series of incidents in the life of this confident young girl as she roams around, getting into trouble, using the motel as a playground and generally getting up to mischief, while we watch her mother trying to find ways of keeping themselves in shelter and together, while never having enough money for food and relying on the kindness of her neighbour who works at a diner, a kindness that soon goes sour. There is a certain juxtaposition between Halley’s life and her daughter; the child never having a care in the world while her mother constantly acts in a manner that seems like she doesn’t care but as soon as the good faith is removed, she becomes violent and aggressive, then doesn’t understand why her world is crumbling around her. Yet for all these moments, Baker, through Moonee, shows there is hope in this world of poverty. In the child’s eye, this land where strange men wander off the street to “watch” the children or where fights break out at the drop of a hat, it has a magical feel. The child wanders past shops that are made out of giant wizards and are brightly painted, there’s a nearby field full of cows, which Moonee pronounces to one of her new friends, is her safari. Even a dead tree is seen as brimming with life. Within the world of the deprived and childish dreams are an unlikely father figure and protector of both Moonee and Halley, the motel manager, Bobby, who, no matter how much trouble both the mother and child get into, he’s the one who steps in and saves them. When Halley steals some armbands from a man who has visited her and the man returns to accuse her, it is Bobby who warns the stranger that he is sure his wife and family would love to hear how he lost his precious armbands. When the strange man comes to see the children play, Bobby is on hand to remove him. Bobby is like an all-seeing eye, a man who ultimately seems not to care but deep down does. With its naturalistic style and improvised dialogue, the performances are terrific. 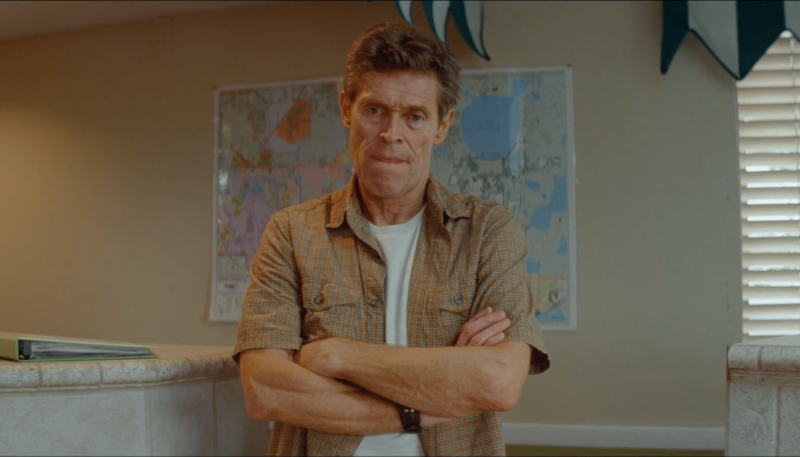 Willem Dafoe, as Bobby, has never been better, a man with a tough exterior but a heart of gold. Newcomer Bria Vinaite gives a brutally honest performance, yet while we should really dislike her, she manages to make us care for her. Finally, young Brooklyn Prince as Moonee is a revelation. For one so young she is magnificent as the feisty, yet innocent child in a world lacking any real hope. She is funny, tough and in the final scene, heartbreaking. 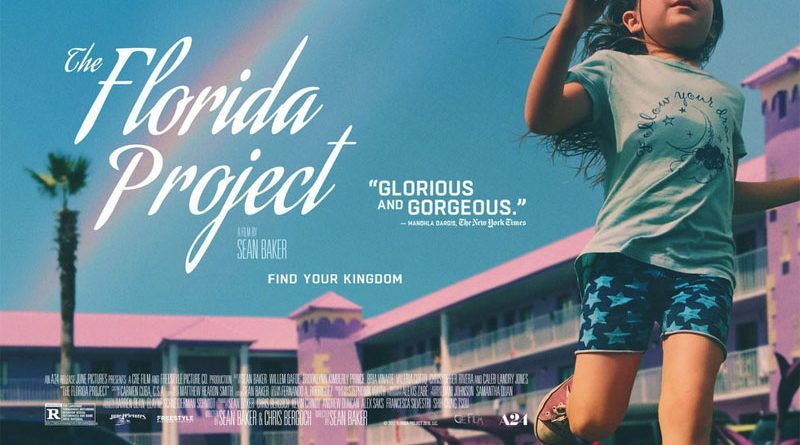 The Florida Project will not be for everyone. It is shocking, powerful stuff yet at its core it is charming and heartfelt. The lack of plot may infuriate but it is worth giving it a shot. I was pleasantly surprised how full of hope it is and I think it’s a film that might surprise everyone who sees it. What is apparent is that Baker has a gift for making us care about people who we shouldn’t.